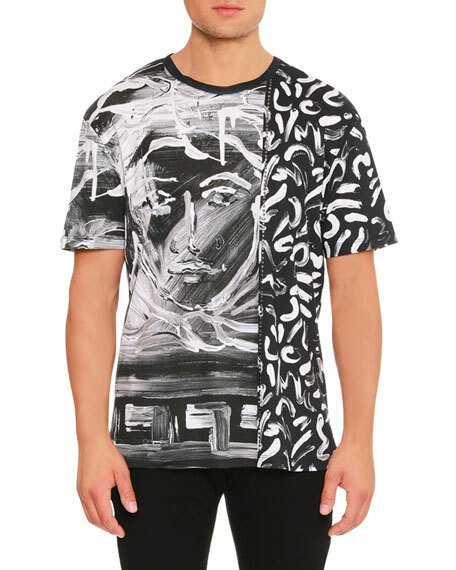 Versace T-shirt in painted medusa print. Studded trim down left side. 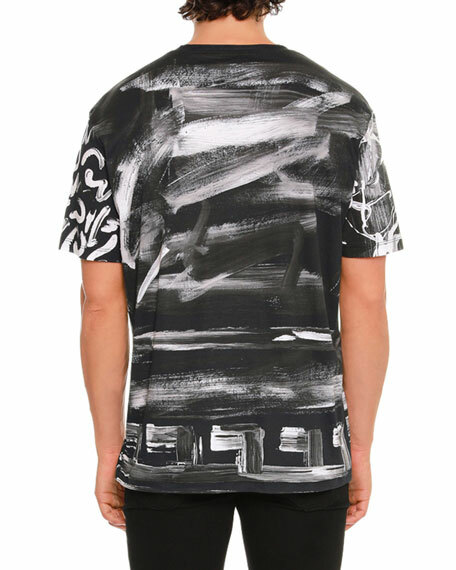 For in-store inquiries, use sku #2418376.